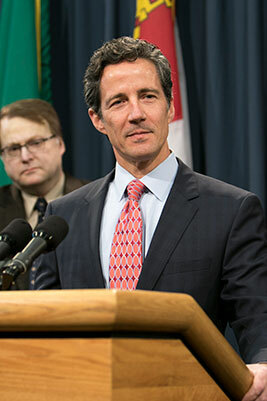 Senator Kelly Hancock of North Richland Hills authored SB 9, which aims to strengthen the constitutional spending cap. (AUSTIN) — Calling for greater fiscal restraint, Senator Kelly Hancock of North Richland Hills unveiled a plan on Tuesday to tighten further the state spending limit. The current spending cap, based on personal income growth, was approved by voters more than 35 years ago, and Hancock said it's time to update the law. "It is astonishing to me that we're still basing our cap on the fiscal responsibility that took place in 1978," he said. "I think it's time for the voters to have a voice on where those limits truly are." His bill, if approved by voters, would require the Legislative Budget Board to set the spending limit at a level equal to population growth plus inflation. The state budget cannot grow faster than the Texas economy and the LBB determines that growth rate by looking at personal income growth. Hancock said that that metric typically grows faster than the state economy in general. "This is a false measurement and effectively eviscerates the constitutional spending limit" he said. He believes that tying spending growth to inflation and population growth is a better measure that will result in a lower spending cap. If lawmakers want to exceed that cap, Hancock's measure would require three-fifths of the legislators to agree, more than the simple majority required today. Hancock also said his bill would apply the spending limit to all funds appropriated by the Legislature. Under current law, only funds not dedicated by the Constitution are affected by the limit. Hancock was joined in support of the measure by Lt. Governor Dan Patrick. "This is a cause that I've been supportive of since I was elected," said Patrick. "I believe this is the session to move this bill." 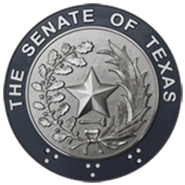 Also Tuesday, Senator Rodney Ellis announced a measure that he believes will bring more fairness to property tax assessments in Texas. Homeowners, said Ellis, have long had the ability to dispute the appraised value of their home if they feel it was too high. In 1997, the law was changed to give the same access to commercial property owners, which Ellis says has been exploited to drive down commercial property values. He said Texas is the only state with such a provision, and for good reason. "It's unfair, it's bad public policy and it needs to be changed," said Ellis. Homeowners are forced to make up the difference to pay for tax breaks for large corporations who don't pay their fair share, he added. Ellis' bill would close that loophole, which would affect business properties worth more than one million dollars. Owners of those properties disputing appraisal value would have to select a representative sample of comparable properties in the same county to establish what the general value of such properties should be. "No longer can lawyers for these property owners game the system, cherry-pick properties, or make adjustments that do not follow generally accepted appraisal techniques just to drive down their appraised value," said Ellis. The Senate will reconvene Wednesday, March 11, at 11 a.m.